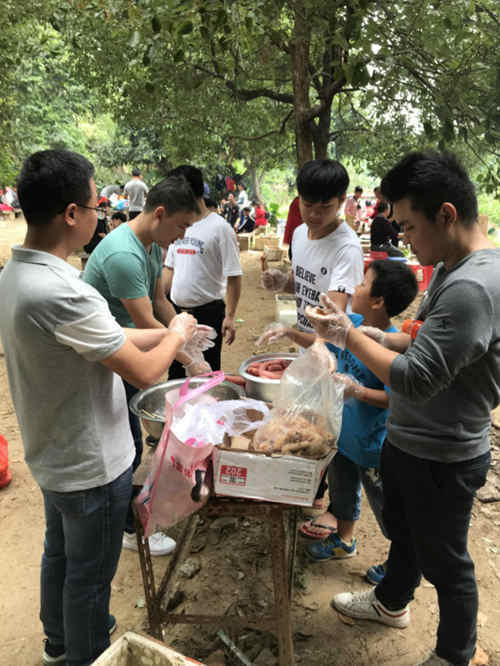 To enhance the team atmosphere and enhance communication,our company held an unforgettable barbecue on November 5th.The atmosphere of the activity is very warm. Every little companion is full of spirit. 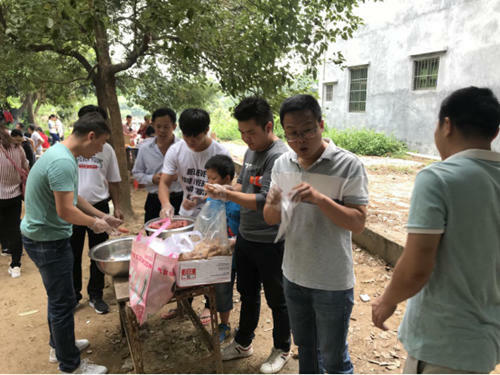 In order to do well in this event, the male colleagues of the company prepared the barbecue food and condiments ahead of time.We have a clear division of labor, some people wash vegetables, some people string food. Eaught all in of air baked by themselves and talked about all kinds of interesting things they met in their work and life. The activity lasted until 16:00 pm, And the food was almost "ransacked" by everybody. The whole atmosphere of the activity was very enthusiastic! 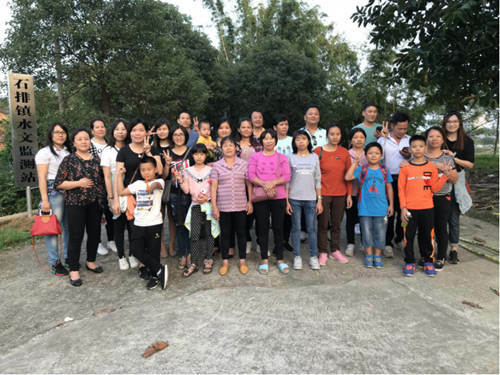 Dongguan Mefapo Cosmetic Products Co., Ltd. was founded in 1998, with an area of 10,000 square meters, is located in Dongguan city of China.Mefapo, one of the few manufacturers able to produce aerosol products lawfully, is specializing in developing new products and doing OEM /ODM service. Our factory are professional in producing skin care(facial spray, facial cleanser, etc. 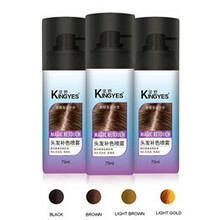 ), hair care(hair spray, hair color, hair oil, etc. 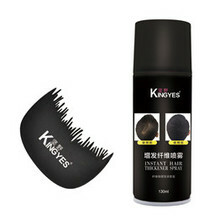 ), nail beauty products and other aerosol cosmetic. Mefapo, is also a factory with 20 years experience of making barber brush , hair comb, mirror and other hair accessories. Men grooming products are also available.All of our products are produced under strictly quality control system to ensure meeting customer’ s quality requirements. The products are mainly exported to Asia, Europe, America, Middle East and other countries.You satisfaction is our ultimate goal. At Mefapo, we are committed to providing the top level of customer service, competitive price and speedy delivery. Welcome to get more information.